Your home will likely be the greatest financial investment you'll ever make and at times it can appear stressful. With the help of an experienced real estate team, one of our goals is to take the stress out of the home buying process while you concentrate on the excitement that goes along with purchasing a new home. We emphasize setting all the proper expectations from the day you hire us, to the closing and beyond.  If you purchase a home through The Gouveia Real Estate Team and don’t absolutely love it after moving in, we will take full responsibility and we will sell your home for FREE! You will not be charged for this, as our commission for listing your home will be waived. This phase is when you have your first meeting with our team to go over a needs analysis of what you’re looking for in your new home. During this meeting we will educate you on the market conditions, expectations, consumer protection disclosures, how showings are handled, how to submit a winning offer, what happens during the home inspection stage, financing (if applies), and what to expect during the entire transaction process. This phase is when we help establish your purchasing power if you will be utilizing a lending institution for the purchase of your new home. The importance of this step is so you get a comfort level of your monthly mortgage payment and what properties to focus on viewing before we set up private showings to view the home. We have preferred lenders that offer a great array of knowledge and have access to many loan programs. Many new homes for sale hit the real estate market daily. Your agent will be in regular contact with sellers and other real estate agents to ensure you see all the newest listings right away, whether or not they're made public. Often, buyers can put in offers with little or no competition and walk away with an impressive deal on the property of their choice. Your agent will save you valuable time by making sure you only see properties that meet your needs and investment preferences. Working with our team will ensure you that you will be provided with many years of experience, knowledge and skill set to get you the best deal on your new home. This is achieved by us collecting any potential property disclosures, past history, a conversation with the seller’s agent examining how many days on the market, any price adjustments, the state of the market at any given time, the very best of our list of home inspectors and contractors to assure you know of any potential defects of the property. We will also put together the necessary elements that make up a winning offer. It is important to hire the very best in the industry to assist you with any of your real estate needs. We have a long list of professional service providers who are at times needed during either the selling and/or buying real estate. We have high standards and pre-qualifying methods before adding any service providers to our list before we refer them to our clients. We always welcome feedback on your experience working with any of our service contractors. This phase is when our team’s transaction coordinator along with the attorneys, lenders, realtors, sellers, and buyers start to gather all the final details needed for a successful closing day. This step requires great attention to details and handled by one of our exclusive transaction experts. This is the power of our team as we put the most talented team members in the position where they will excel and provide our clients with the very best quality and level of service. We will lead you every step of the way for a stress-free closing.